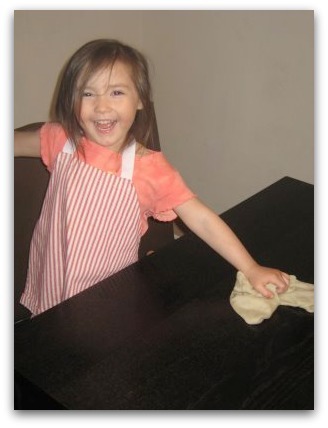 cleaning with vinegar Archives - simple.green.organic.happy. the rest of his days. We went to Target to get a desk for Cassie (Jeff built her a nice “office” to try and keep her craft detritus contained to her room) and I grabbed some (organic!) chicken and yogurt for the kids. 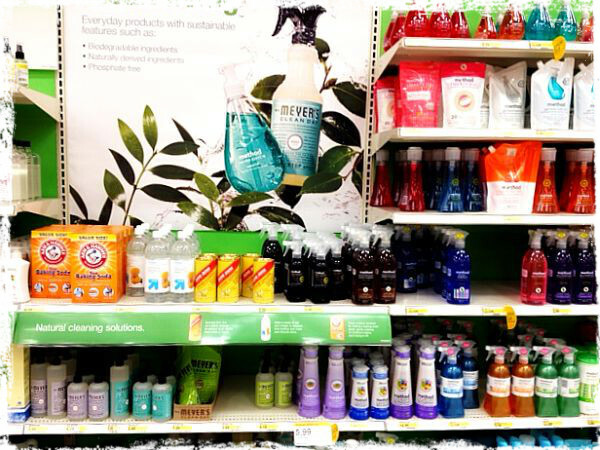 Opposite the fridge aisles is an aisle dedicated entirely to eco-cleansers… and right smack in the middle of the Methods and Seventh Gens and Mrs. Meyer’s? Baking soda, white vinegar and Bon Ami! Have you seen any stores doing this? Or is my specific Target eco-awesome? 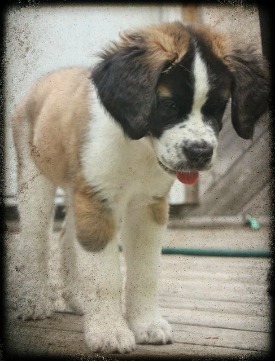 Have I mentioned that we adopted a new puppy? ‘Cause we did. Have I mentioned that she really really likes rolling around in the dirt? ‘Cause she does. Have I mentioned that I spend the whole day walking her, following her around the house to make sure she doesn’t pee, and cleaning up pee because I can’t watch her 24/7? ‘Cause I do. Yeah, so our carpet has never been pristine, but damage control now dictates that we’re cleaning the things a lot more frequently than we were pre-puppy. Conventional carpet cleansers are full of not-nice, unpronounceable ingredients like Hydrofluoric Acid (OK, that one’s not so hard to pronounce), Nitrilotriacetate, Perchloroethylene, Tetrachloroethylene and Tributyltin. Not good for you to be handling or inhaling, and not good to be leaving trace amounts of in your carpet for your kids and pets to crawl around on. Maintenance is key. Vacuum frequently to keep dirt from getting ground-in. Once every two weeks or so (probably more now with the new dog) I sprinkle baking soda on the carpet before bed to soak up odors, and then vacuum up in the morning. So on big gun day, first we do the baking soda bit, then follow up with the steam cleaner. We use vinegar instead of conventional cleansers, and then rinse with hot hot water. Yeah. That’s it. If something really stubborn needs spot cleaning, Jeff swears by OxiClean. We have the same big bucket that we moved from our old house six years ago, so a little goes a loooooong way. And OxiClean gets the best possible score for the health-consciousness of its ingredients. We don’t have real wood floors or anything fancy that requires special treatment— at the moment it’s just that interlocking fake wood laminate and laminate “tile.” One day, when we no longer have young kids and young dogs, we’ll replace the floors with cork or bamboo or something else suitably eco, but for now just sticking with what we have until it’s worn out seems like the most environmentally-responsible thing to do. I keep a bottle filled with a vinegar & water solution for multi-purpose use, and this is one of the purposes. One kid sprays, another kid ties a rag onto the Swiffer and wipes it back up. Kid #3 plays supervisor and points out missed spots. (This, by the way, is absolutely the most effective way to ensure a clean floor. They all get to be supervisor sometime and they all milk it to the max. Really hot day, or have younger kids? Tie old towels around hands, knees, feet and backside and have them mop the floor that way.) No need to rinse, and the vinegar smell dissipates upon drying. If someone is coming over and I don’t want the vinegar smell at all, I’ll dilute a sweet-smelling storebought multi-purpose cleaner. The brand varies depending on my mood, but faves include Ecover (lemon fragrance) or Sun & Earth (super yummy citrus) . Sun & Earth is local to me, so they get extra-special bonus points. ….And that’s all, folks. We like to keep it simple. And cheap. A compact, multipurpose cleaner that has been redesigned with a 95 percent reduction in PVC. Manufactured with tanks made of polypropylene, a material that is more recycling-friendly. The brush block is made from 100 percent post-consumer recycled plastic and the solution tank also contains parts made from 100 percent post-consumer recycled plastic. All Styrofoam has been eliminated from the Little Green’s packaging, and the carton and inner packaging are made from a minimum of 75 percent recycled corrugated materials. It comes with an “earth-friendly cleaning formula” but that’s irrelevant for us, since we use the vinegar. But as always, I’m pleased as punch to see a company move towards eco-packaging and materials, closing the recycling circle. 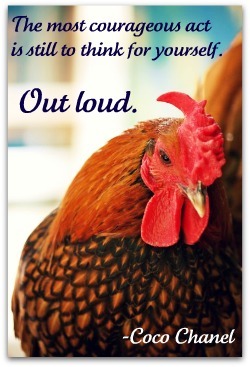 It means they’re listening, so keep talking, with your words and your dollars. How often do you clean your carpets & floors? Hey— there are affiliate links in this post, meaning if you click through to Amazon and decide to purchase something I get a little something-something. Just wanted to make sure you know. 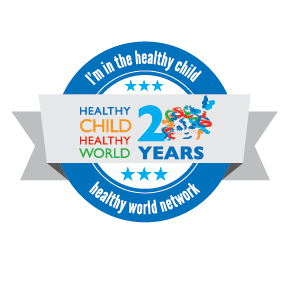 Update: I submitted this post to Healthy Child Healthy World in answer to a call for blog posts on safe carpet cleaning. 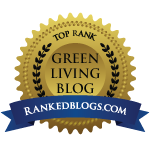 Check them out for tons more on greening up your cleaning and your life! This post contains recycled content. 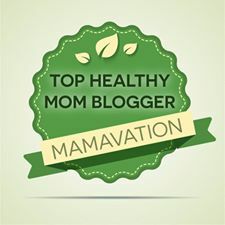 It originally ran on May 12th, soon after I started this blog, but in light of today’s video on DelawareMoms.com, I thought I’d republish it. Many thanks to Patti Petitte for getting me involved with this video! And for not making me seem too much like a goober. Cleaning your house with environmentally friendly household products saves you money, cuts down on clutter, makes your life much less complicated, and cuts down dramatically on chemical exposure. It is the epitome of simple, green, organic, happy living. I am not going to beat you over the head with statistics about the chemicals involved in household cleansers. I am only going to say that with lead paint on our toys, pollution in our air, traces of prescription drugs in our tapwater and residual pesticides in our clothing and linens, I am not going to use something to “clean” my house that is labelled Warning: Toxic. Keep out of the reach of children. To me, that says, Poison. Do not keep in house. Switching over to safer cleaning was easy. It made my life simpler and freed up a whole shelf in my linen closet. I can now delegate a fair portion of the cleaning to my children without fearing that they will sear their lungs or go blind. My husband enjoys the “mad scientist” element of mixing up his own cleansers. And you can customize the fragrances, strengths, and appearance to your liking. Dr. Bronner’s Magic Soaps. Vegetable-based and biodegradable, it is ultra-concentrated and will last forever. Add a teaspoon to a spray bottle filled with water for all-purpose cleaning: tabletops, counters, fingerprints on walls, spot treatment on carpets, everyday bathroom cleaning. Use the fragrance-free baby variety and add 20 drops of your own essential oils for scent. In general, the longer you allow this to sit after spraying, the less “elbow grease” required. These soaps do not foam up like you may be used to, which saves considerable amounts of time and water during rinsing. Dr. Bronner’s Sal Suds is an all-purpose cleanser that has that familiar scent of pine. It is specifically made for surface cleaning and is probably a better choice if you do not plan to use it as a hand or bath soap. This is our floor cleaner, again using one teaspoon in a spray bottle filled with hot water. 20 Mule Team Borax is excellent for heavy-duty bathroom cleaning. Just pour some onto a sponge or rag and scrub away. It is non-abrasive and does not cause your hands to become red and swollen, like what I used to use. Pour some into toilet bowl and let sit overnight, give a quick swish in the morning. You can also add borax to your laundry to boost your detergent’s cleaning and whitening power. is great for cutting through bacon grease residue on your stovetop. Is a great mirror and window cleaner without the horrible fumes. sprinkle onto carpets and let sit overnight to absorb pet odors, vacuum in morning. for kitchen sink drain maintenance, pour in some baking soda, then pour in vinegar for exciting foamy action; follow up with a kettle of boiling water. Combine lemon juice and water in a bowl and microwave for a minute; allow to cool; wipe microwave clean. One part lemon juice to two parts olive oil can be used as a natural wood cleaner. Not a cleaning tip, but good to know: Dip cut apple slices into lemony water to keep them from browning in kids’ lunchboxes. Houseplants are an easy way help keep your air clean and fresh, and they just make you feel better about yourself. I highly recommend an aloe plant in your bedroom, because they release extra oxygen at night, when you’re breathing deeply. After a full year of extreme negligence, ours is still alive, lush and enormous; and you can use the aloe as an emergency lotion or sunburn treatment. Spray bottles and a bucket to keep everything together can be found at your local dollar store. Dr. Bronner’s and essential oils are available online and can be found at health and organic stores; we get ours from Trader Joe’s. I cut old towels into rags in lieu of sponges, and wrap one around our old Swiffer for mopping. How to Grow Fresh Air by B.C. Wolverton classifies 50 houseplants by how effectively they clean your air and by ease of upkeep. For a comprehensive list of essential oils and their properties, click here. Green Cleaning and Social Responsibility.